Catechism of the Catholic Church 369. – Man and woman have been created, which is to say, willed by God: on the one hand, in perfect equality as human persons; on the other, in their respective beings as man and woman. “Being man” or “being woman” is a reality which is good and willed by God: man and woman possess an inalienable dignity which comes to them immediately from God their Creator.240 Man and woman are both with one and the same dignity “in the image of God”. In their “being-man” and “being-woman”, they reflect the Creator’s wisdom and goodness. Benedict XVI, Christmas Address to the Roman Curia (excerpt from sec. 1, paras 5, 6, 7), 22 December 2008. – “Since faith in the Creator is an essential part of the Christian creed, the Church cannot and must not limit herself to passing on to the faithful the message of salvation alone. She has a responsibility towards creation, and must also publicly assert this responsibility. In so doing, she must not only defend earth, water and air as gifts of creation belonging to all. She must also protect man from self-destruction. What is needed is something like a human ecology, correctly understood. If the Church speaks of the nature of the human being as man and woman, and demands that this order of creation be respected, this is not some antiquated metaphysics. What is involved here is faith in the Creator and a readiness to listen to the “language” of creation. To disregard this would be the self-destruction of man himself, and hence the destruction of God’s own work. Moira McQueen, “Catholic Teaching on Transgender (Gender Dysphoria),” Canadian Catholic Bioethics Institute, 2016. (accessed June 16, 2017) – CCBI Director; appointed by Pope Francis to the International Theological Commission, 2014 – 2019. 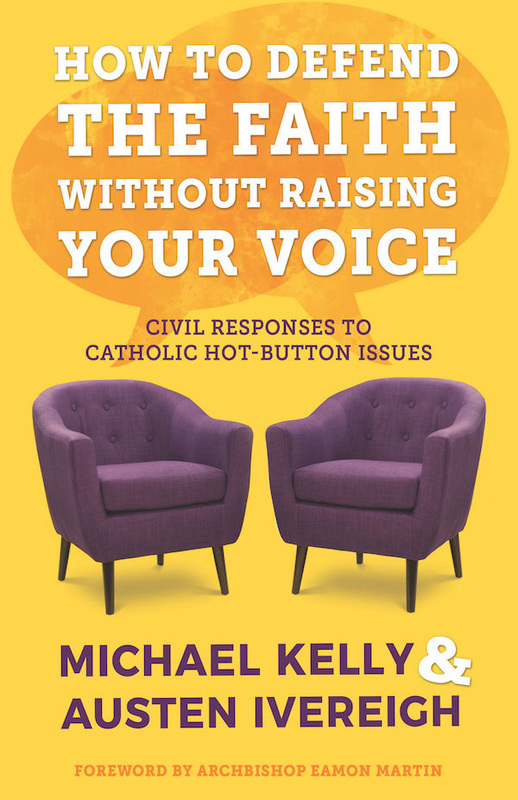 Includes a synopsis of the current cultural status of the issue, a brief summary of Catholic teaching, and an overview of medical approaches to GD. Pope Francis, “Ideological colonization,” In‐flight press conference from The Philippines to Rome, 19 January, 2015. (accessed June 16, 2017) – “… Ideological colonization. I’ll give just one example that I saw myself. Twenty years ago, in 1995, a minister of education asked for a large loan to build schools for the poor. They gave it to her on the condition that in the schools there would be a book for the children of a certain grade level. It was a school book, a well‐thought‐out book, didactically speaking, in which gender theory was taught. This woman needed the money but that was the condition. Clever woman, she said yes and made another book as well and gave both of them. And that’s how it happened. This is ideological colonization. They introduce an idea to the people that has nothing to do with the people. With groups of people yes, but not with the people. And they colonize the people with an idea which changes, or means to change, a mentality or a structure. During the Synod [on the Family in 2014], the African bishops complained about this. It was the same story, certain loans in exchange for certain conditions. Pope Francis, “Catechesis on the family ‐ Male and female (I),” 15 April, 2015. (accessed June 16, 2017) – “This catechesis and the next one will treat the difference and complementarity between man and woman … And as we all know, sexual difference is present in so many forms of life, on the great scale of living beings. But man and woman alone are made in the image and likeness of God …. This tells us that it is not man alone who is the image of God or woman alone who is the image of God, but man and woman as a couple who are the image of God. The difference between man and woman is … for the sake of communion and generation … Experience teaches us: in order to know oneself well and develop harmoniously, a human being needs the reciprocity of man and woman … We are made to listen to one another and help one another. We can say that without the mutual enrichment of this relationship … the two cannot even understand the depth of what it means to be man and woman. Modern contemporary culture has opened new spaces, new forms of freedom … to enrich the understanding of this difference. But it has also introduced many doubts and much skepticism. The removal of difference in fact creates a problem, not a solution. In order to resolve the problems in their relationships, men and women need to speak to one another more, listen to each other more, get to know one another better, love one another more. * Click the book cover to purchase Austen Ivereigh's book through Amazon. You can order it in paperback, or as a Kindle book. Using this link helps to support Catholic Voices Canada.